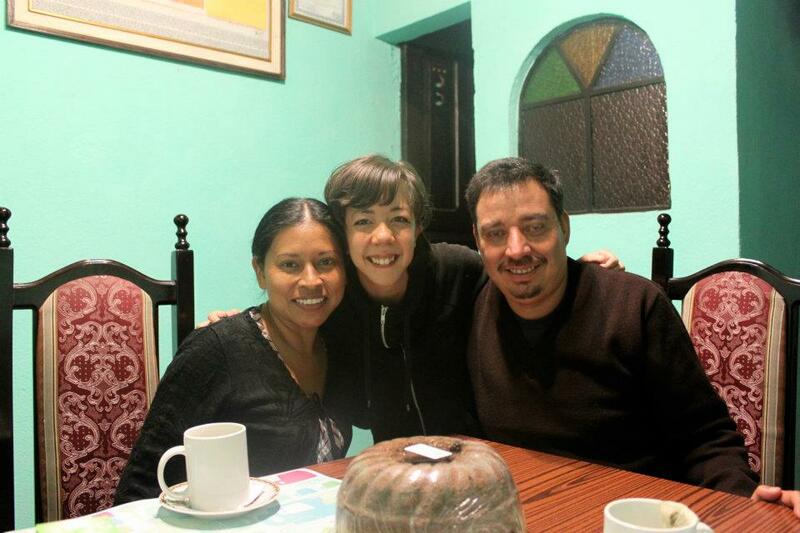 My time in Guatemala wouldn't have been what it was without my home stay family. I arrived at their cozy little house close to midnight after a looong flight, and they welcomed me with a smile. I could tell we were both nervous. I remember not understanding all that they were saying, but was relieved to understand the 'gist' of it. The spanish that I started learning on peace boat from my best friend Patricia, was helping! I quickly put to use the phrase "how do you say....?" "Como se dice...?". I remember my first conversation with my host dad as he showed me the house terrace and I could see the countless number of stars in the sky. I asked him what stars are called in Spanish. He quickly replied "estrellas" and we repeated the word together several times while looking up on the vast star filled sky. And I thought to myself and felt with my whole body that this is why I came, to learn a language in the country where it is spoken, because for the rest of my life I will remember the word "estrella" because of exact this moment and experience. We had infinite moments like this, my host parents and I. First I asked this question to get the nouns, pointing to things, next with verbs while doing the gesture... as my language ability improved, soon I could ask the same question but describing whatever word I was looking for in Spanish- almost like a riddle game. 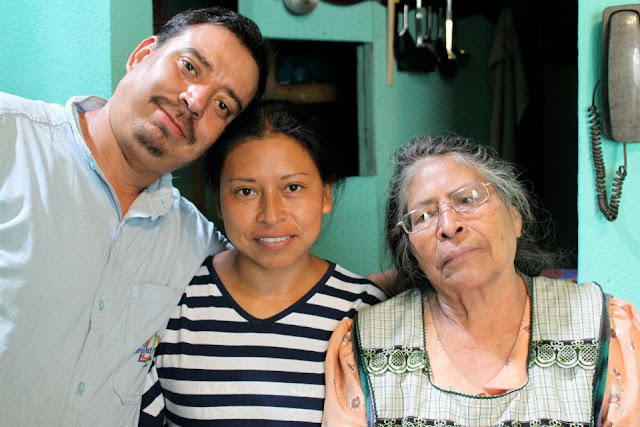 My host mom Matilde, often called Matty, and my host dad Gerardo, more often called Louis, were always available to help me, teach me and love me. They constantly checked if I was okay, helped me if necessary, taught me more things beyond solely language and celebrated my success as if it were their own. 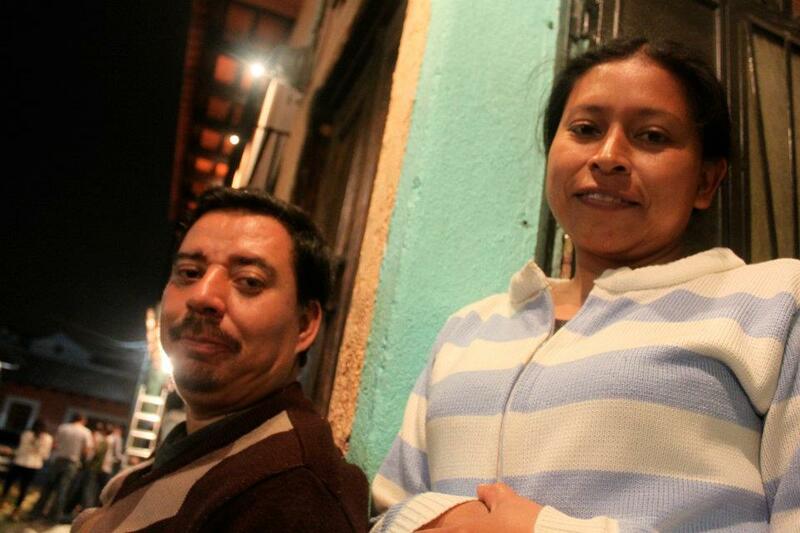 They are the most sincere, good hearted two people I have ever met. And abuelita, often called "obachita" mixing japanese obachan for grandma and spanish abuelita, was another crucial family member. In the beginning I couldn't understand abuelita's fast spanish, but with time it got better. 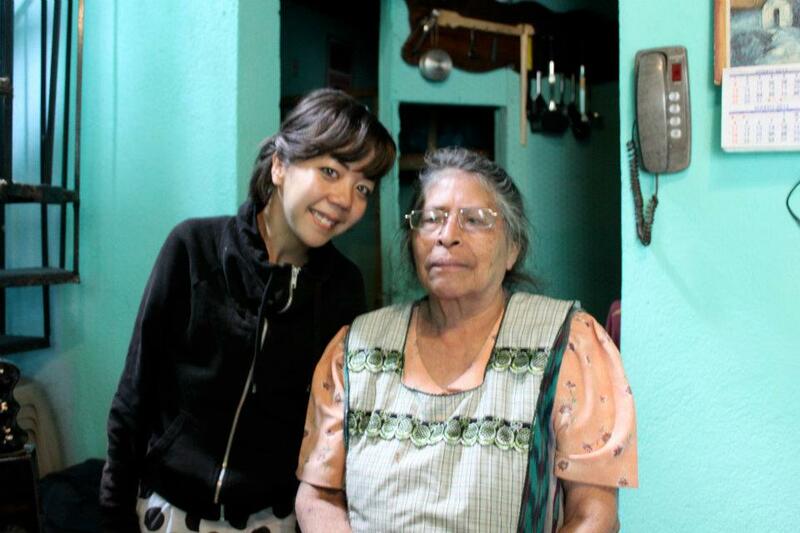 She would talk to me about the holidays that exists in Guatemala or teach me traditional songs. Or she would tell me different stories about her children, her cooking... etc etc. What I remember the most is the greetings everyday, as I was leaving the house to go to language school: "Que te vayas bien moniquita! "and when she went to bed. "Buenas noches, hasta mañana. Que tu sueñes con los angelitos!! The 3months that I spent under their roof was worth more than any treasure I can imagine. And I hope I can go back there someday. As they said "You can come home, just to say bye again! We will be waiting with your favorite meal, moniquita". Next on the blog- food!